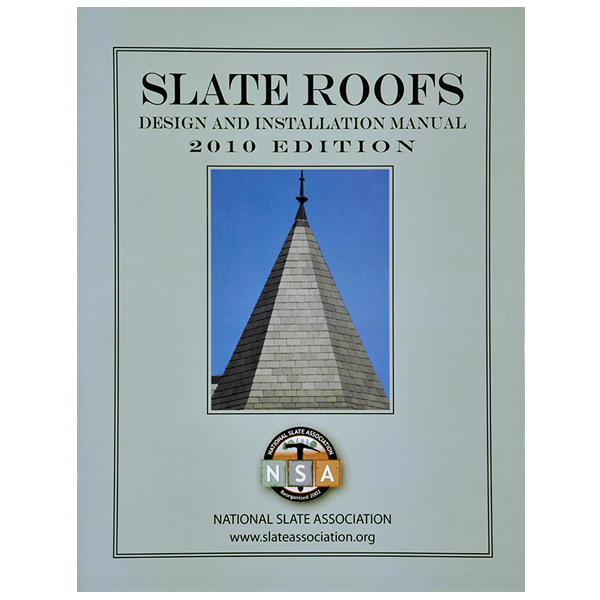 This Gold Circle Award-winning book masterfully renders every design and installation detail to be found in slate roofing. 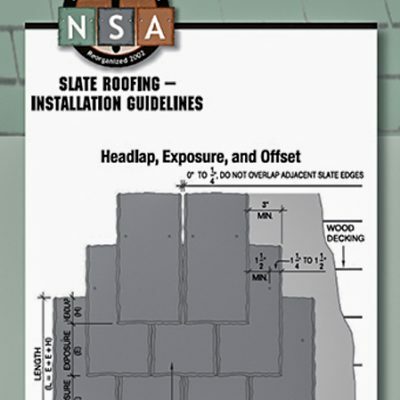 Architectural drawings accurately illustrate flashing and roof lay-out. 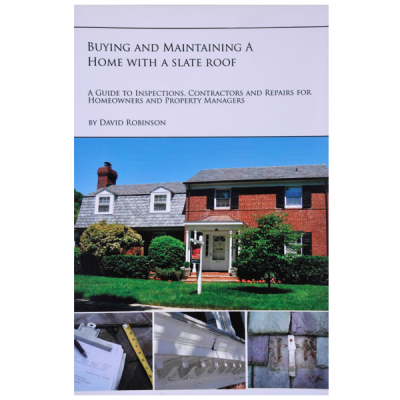 Alternate solutions to slate roofing problems are provided. 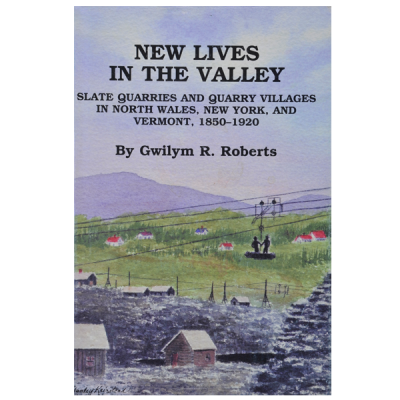 Architects, Consultants, Slate installers and Designers rave about this book! 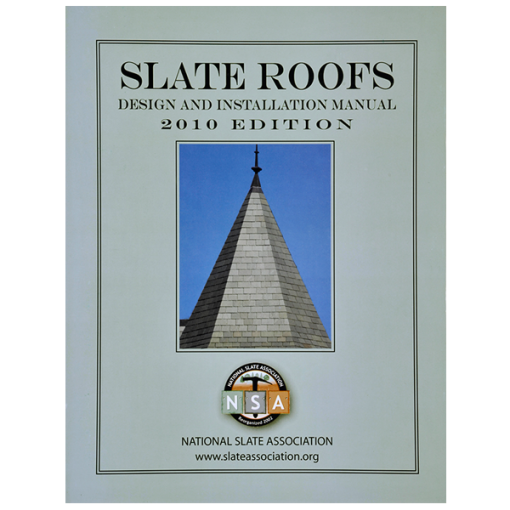 All new NSA members receive one free copy of the award-winning Slate Roofs: Design and Installation Manual. Members also receive 20% off all orders. (Log in to receive member discount in the cart).